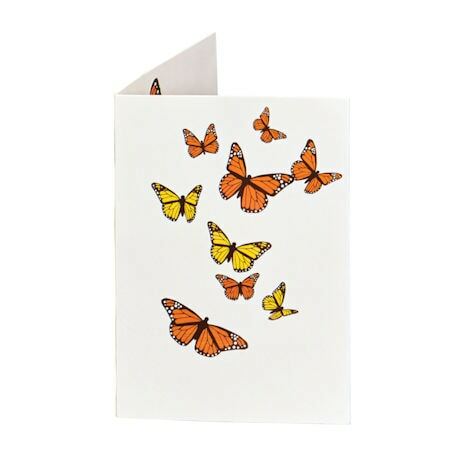 Admire the colorful butterflies on the front. 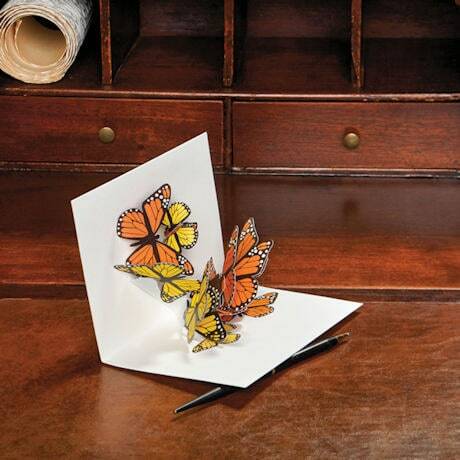 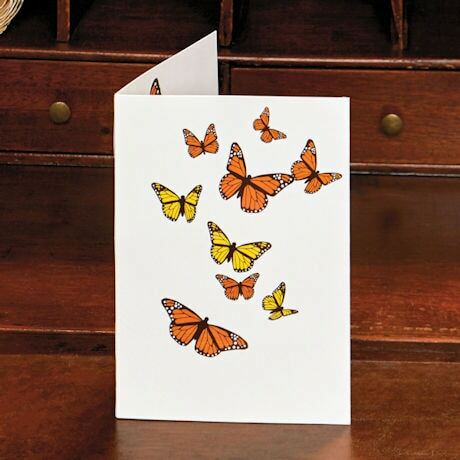 Then open the card to find a whole kaleidoscope of butterflies taking flight. 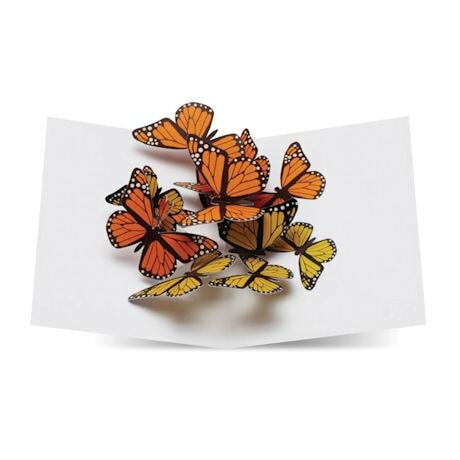 Designed by renowned paper engineer Maike Bierdstadt for the Museum of Modern Art, each card is a sweet surprise. 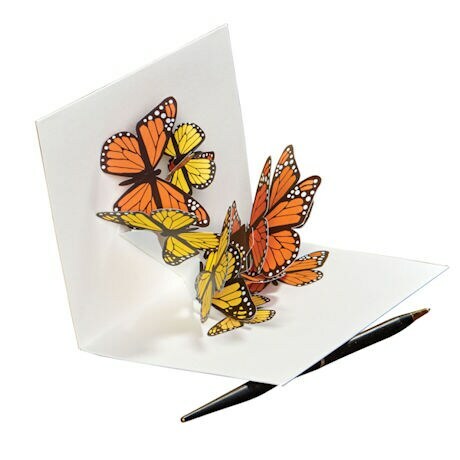 4 ½" x 6 ¼"; opens to 9" wide. 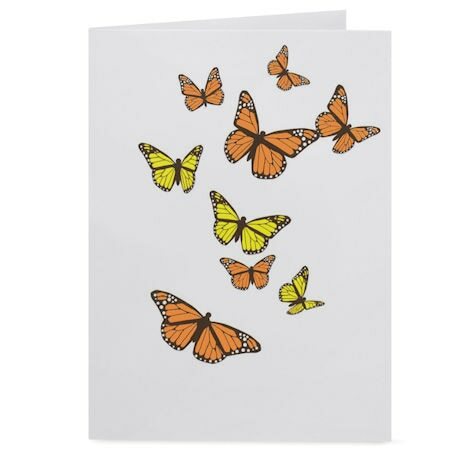 Box of 6 cards with orange envelopes.